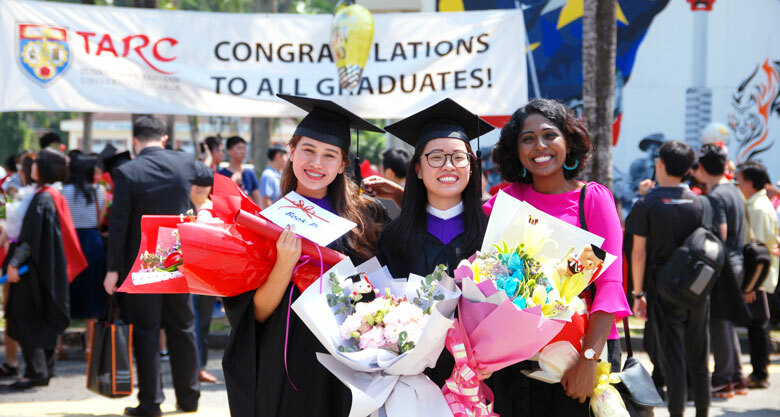 Today, TAR UC has a student population of more than 28,000 pursuing more than 150 programmes of study at its main campus in Kuala Lumpur and branch campuses in Penang, Perak, Johor and faculty branches in Pahang and Sabah. 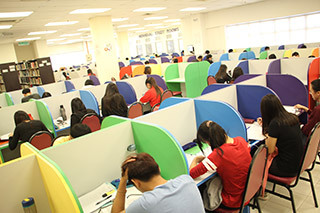 TAR UC as a whole has produced more than 200,000 graduates since 1969. The strength of TAR UC’s education lies in the support of three critical pillars, namely being professionally driven, entrepreneurship-focused and industry relevant which have proven to have developed highly employable graduates nationally and globally. 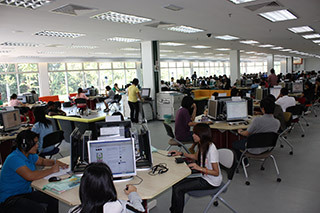 The programmes offered meet professional standards whereby maximum exemptions and accreditation have been granted by global and national professional bodies such as the Association of Chartered Certified Accountants (ACCA), Chartered Institute of Management Accountants (CIMA), Institute of Chartered Secretaries and Administrators (ICSA), Chartered Institute of Marketing (CIM), Institute of Chartered Accountants in England and Wales (ICAEW), The Charted Institute of Logistic & Transport Malaysia (CILTM), Financial Planning Association of Malaysia (FPAM), Board of Quantity Surveyors Malaysia (BQSM), Royal Institution of Surveyors Malaysia (RISM) and Board of Valuers, Appraisers and Estate Agents (BOVAEA). TAR UC has also forged strong linkage with many industry leaders, so as to facilitate the latest knowledge and technology transfer to the classroom, making it industry relevant. Financial Aid is intended to help needy students finance their studies in TAR UC. Financial aid consists of scholarships, grants and study loans. TAR UC has gone down in history to become the first institution of higher learning to attain the Champion title in the inaugural Adobe Certified Associate ('ACA') Championship at national level which was held in Kuala Lumpur. He joined Multimedia University as Lecturer at the Faculty of Engineering in 1999 and rose to become the Dean of the said Faculty. In 2008, he joined Universiti Tunku Abdul Rahman (‘UTAR’) as Professor at the Lee Kong Chian Faculty of Engineering and Science and subsequently the Director of the Institute of 2 Postgraduate Studies and Research. In 2009, Prof Ir Dr Lee was appointed as the Vice President of R&D and Commercialisation until 2018 prior to his appointment as TAR UC President. In his role as the Vice President of R&D and Commercialisation, he was instrumental in formulating strategy, policy and framework for R&D and commercialisation to grow in UTAR which resulted in UTAR being ranked the second highest among Malaysian universities that had successfully made it into the Asia Universities Ranking 2017 by Times Higher Education. Pursuing Actuarial Science at the London School of Economics and Political Science. The highly interactive and experiential sharing sessions during classes at Coventry University made the entire learning process lively and valuable. The robust learning environment and advanced facilities provided by Coventry University enabled me to develop my potential and ideas greatly. The professional and friendly lecturers always gave their best support to me academically. I twas trained to think independently and creatively. The one semester study abroad option in Coventry University had given me an enriching learning experience. I am pleased to have pursued the Campbell University Dual Award degree programme at TAR UC. Not only have I acquired the necessary skills and knowledge but this programme has also provided me with good career prospects. At TAR UC, I learn to work as part of a team, to communicate effectively with others and to develop practical skills which prepared me for integration into the global community and workforce.